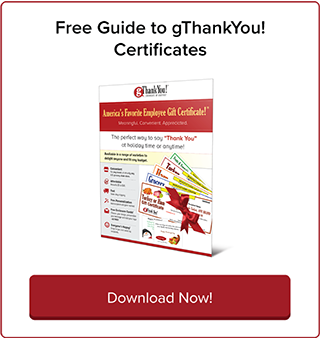 Take the Guesswork Out of Employee Holiday Gifts | gThankYou! The stakes are high with employee holiday gifts. A lot of responsibility rests on your shoulders if you’re in charge of picking, ordering and distributing gifts for employees at the holidays. Pick the wrong gift, and it could end up on one of the many lists mocking terrible workplace gifts. Bad gifts from bosses are so commonplace that the Emily Post Institute created a multiple-choice quiz to test holiday gift-giving knowledge and warn against common mistakes. People don’t have much confidence in companies to get it right, either. A study by Consumer Reports from found that “around 30 percent of people agree that coworkers and bosses gift the worst holiday gifts,” according to USA Today. Yikes! The pressure’s on, right? 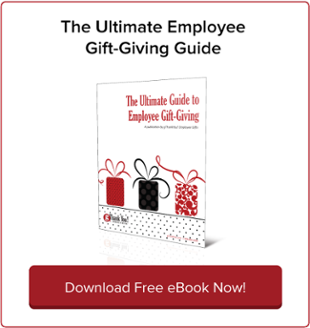 Here’s the good news: if you’re reading this blog post, you’re already ahead because you care about giving great holiday gifts and want employees to appreciate them. 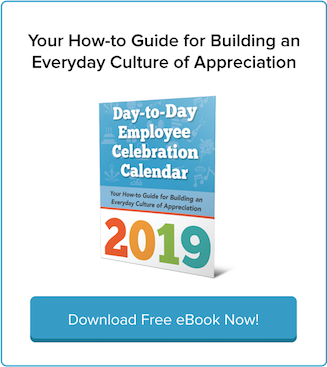 You also probably know that showing gratitude in the workplace — with a gift, card or simple “Thank You” — is one of the most reliable ways to build employee loyalty, boost productivity and create a culture of enthusiasm and dedication. Workplace gratitude benefits everyone. What’s next? Don’t leave employee holiday gifts up to guesswork or chance! Follow our three-point plan for sharing memorable employee holiday gifts that send a message of gratitude. Gift-giving shouldn’t be a hassle or cause you and your team stress. Ideally, giving gifts should be just as fun as receiving them! When picking your gifts, keep these two words in mind: practical and meaningful. Your gift should meet both criteria. One or the other isn’t enough. Socks may be practical, for example, but they’re not particularly meaningful and they certainly don’t send a message of value. The opposite is true, too: a gift can be personally meaningful (say, a piece of artwork) but won’t likely please everyone or work for large-scale gift-giving. It’s important to pick an employee holiday gift that’s meaningful and useful to everyone. Food is a great choice, as are gift certificates for groceries or a meal out, or tickets for movies, sports or other entertainment. Employees can enjoy these gifts with friends and family. Plus, they’re the kind of gifts that “give twice” (or more) — first when the employee receives the gift, and again when the employee enjoys the gift’s benefits. A gift without a Thank You card doesn’t say much. It could even send the message that your company is sharing gifts out of obligation. 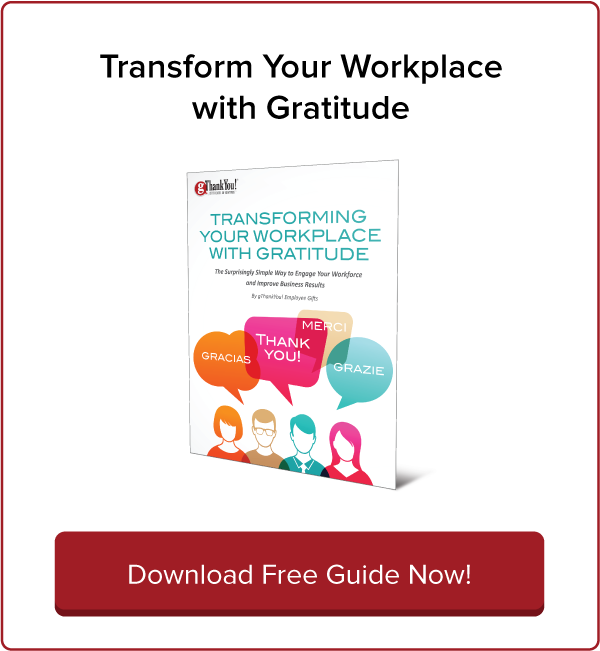 Your thanks lets employees know why are you’re grateful for their hard work. The most effective employee appreciation comes from a company leader, ideally the CEO. Depending on your organizational structure, you could also have supervisors add a short note of personalized gratitude for the employees on their team. Need a little guidance for writing the perfect Thank You note to accompany your gift? 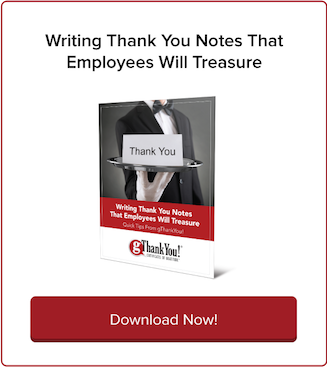 Download our free eBook “How to Write a Holiday Thank You Letter to Employees”! It uses real-life examples to demonstrate best practices and inspire your own unique approach at the holidays or anytime. Gifts are best shared in person, with a handshake and a smile from a supervisor, manager or company top brass. The office holiday party is a good time to make this happen. If you’re sharing gifts with a distributed workforce and can’t give in person, there are still ways to make gift-giving special — consider teleconferencing or a video message from the CEO. Remember the whole point of employee holiday gifts is to celebrate! You’re celebrating hard work, innovation, teamwork and business success together. Have fun, make is personal and get in spirit of the season! Read on to learn what’s the perfect employee holiday gift. Looking for the perfect holiday gift to show your employee appreciation? Choose the gift of the centerpiece of employees’ holiday celebration – a turkey or a holiday ham. The gift of a turkey or holiday ham is a meaningful yet affordable holiday gift. gThankYou’s new brochure “10 Reasons to Give Employees a Turkey for the Holidays” has all the details on why so many businesses give employees a holiday turkey — and have been for generations. The gift of gThankYou Turkey Or Ham Certificates offers more choice for recipients to choose what’s best for their family holiday celebration. What’s the perfect way to tell your staff “Thank You” at the holidays? A gThankYou Turkey or Turkey Or Ham Gift Certificate and customized holiday “thank you” Card. Want to know more? Click below to download our two-page Guide. Turkey Gift Certificates and Turkey Or Ham Gift Certificates by gThankYou are two of America’s favorite employee gifts and can be redeemed for any brand (Turkey or Turkey Or Ham), at virtually any grocery store in the U.S. Find out more: gThankYou Gift Certificates. How Would Santa Choose Employee Holiday Gifts?